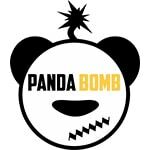 Panda Bomb is a UK based company who have put time and passion into creating high-quality premium e-liquids. Using only the best flavourings that not many companies can access, they have created two of the most outstanding flavours to hit the vape scene this year. Each flavour is available in a 50ml 0mg short fill with enough room to add your own nicotine and create 60ml 3mg.